We’ve been involved with some of the Kansas City area’s largest capital improvement projects over the past 27 years. Our knowledgeable team of estimators and project managers has the experience required to design/build or value engineer the most complex projects. 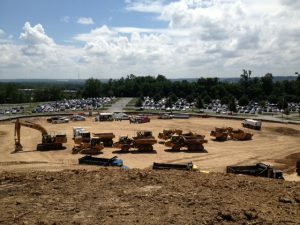 Whether you are looking to subcontract site prep and excavation, or need comprehensive project management, you can count on J. A. Lillig. We pride ourselves on being a reliable business partner with the resources to take on the largest, most complex construction projects in the Midwest. We shoot straight, hit deadlines, communicate effectively and have the resources and expertise to take on the most challenging construction projects. We can take on the largest construction projects, having done the Sprint Arena, National Bio and Agro-defense Facility (NBAF), Cerner Headquarters, just to mention a few. We also have a sister company, J. 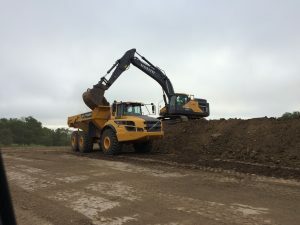 A. Lillig Grading, which is a 100% owned disadvantaged/minority-owned business certified by the City of Kansas City, Missouri, and the Missouri Regional Certification Committee. We have an outstanding safety record, with an EMR that’s never been above 1.0 for the past 20 years. We have a dedicated safety specialist and hold weekly safety meetings for every project we undertake to ensure OSHA and other safety guidelines are strictly adhered to.